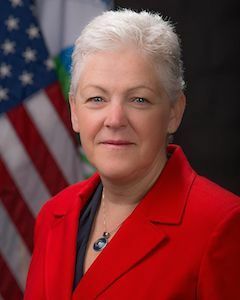 Environmental Protection Agency (EPA) Administrator Gina McCarthy recently penned a blog post on the importance of energy efficiency in honor of the EPA’s 2015 Battle of the Buildings winners. McCarthy unveiled the results of the 2015 Battle of the Buildings, which the EPA has run through its Energy Star program since 2010. Texas A&M University won the gold award for energy for its ESCO Project, in College Station. Through the project, Texas A&M saved $550,000 and prevented 1,700 metric tons of greenhouse gas emissions, a 35 percent improvement in energy efficiency. The gold winner for water went to Team Boys & Girls Clubs All Stars, which included 12 buildings in seven states that collectively cut their water use by over 50 percent. “All told, last year’s Battle of the Buildings competitors achieved impressive savings, to say the least,” McCarthy noted. “More than 60 buildings cut energy use by 20 percent and 40 buildings cut water use by 20 percent or more in just 12 months." Next time we write about U.S. Environmental Protection Agency (EPA), we'll email you a link to the story. You may edit your settings or unsubscribe at any time.